A heat meter is a device which measures thermal energy provided by a heat source or delivered to a heat sink, by measuring the flow rate of the heat transfer fluid and the change in its temperature (ΔT) between the outflow and return legs of the system. 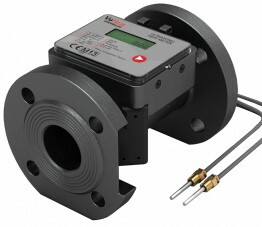 It is typically used in industrial plants for measuring boiler output and heat taken by process, and for district heating systems to measure the heat delivered to consumers. 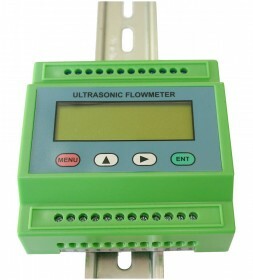 It can be used to measure the heat output of say a heating boiler, or the cooling output from a chiller unit. 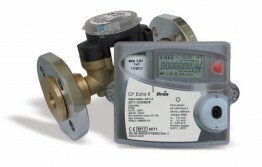 Our heat meters are available in various operating principles including; mechanical, electromagnetic also non-intrusive heat meters that benefit from having no moving parts providing a stable and maintenance free design with MID Class 2 and 3 approved models available. Many of our heat energy meters are suitable for the Domestic and Non-Domestic Renewable Heat Incentive (RHI), governmental funded schemes that provide financial support and incentives to install and operate renewable heating technologies.